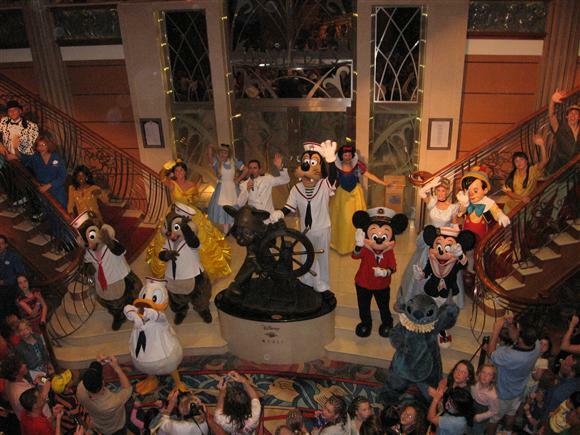 My mother wanted us all to go on a Disney Cruise together, so we did. 'Nuff said. We flew to Orlando and were bussed, as promised, to the ship. It's all VERY Disney. Organized, orderly, sterile. But you know, sometimes you want that. Ellery and Samantha dressed in their matching red outfits for our first dinner of the cruise. Ellery decided to stay on the ship and I wandered around Key West. It's a cute little place. And in the typical small world of travel, there was an open air art show and I was immediately drawn to a particular artist -- one I had seen in Rittenhouse Square. OK, we didn't really get to Havana, but passed by on our way to Grand Cayman. Tonight's dinner was formal night. A relaxing day spent in Grand Cayman shopping and snorkeling (something that Ellery was initially terrified to do, but eventually went at it with great gusto). Today we stopped in Cozumel and took an "excursion" (man, I hate these cruise excursions) to the ruins at Tulum. They were actually very interesting but unfortunately there wasn't a lot of time to explore or, more importantly, enjoy the beautiful little beach. Day 6 was spent at sea, today was at Castaway Cay. Nice place. Totally contrived. But Ellery and I did get to check off another "adventure activity" -- parasailing.